Click the above image for a full-size widescreen wallpaper sized 1920×1200. I just scanned this from a 1988 Marvel comics house ad. Art is by John Buscema & Tom Palmer. 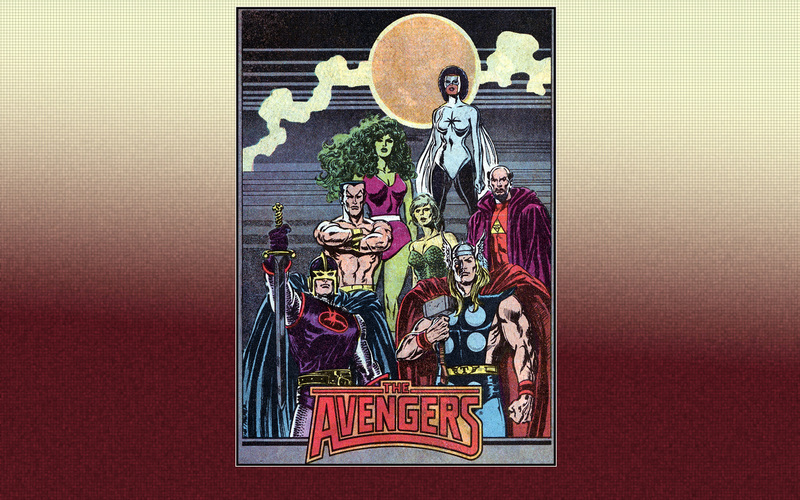 This was the line-up for much of the late eighties: Captain Marvel (Monica Rambeau), She-Hulk (Jennifer Walters), Sub-Mariner (Namor), Marrina, Dr. Druid, Black Knight (Dane Whitman) & Thor (Donald Blake). I am really enjoying these old comic book wallpapers!